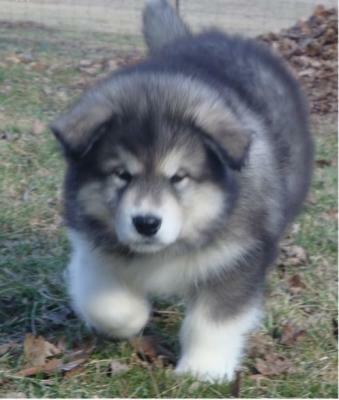 Description :We have 4 healthy, playful ( Alaskan Malamute ) pups for sale to go to forever homes. They are all home reared with Mum. These puppies are going to be big dogs so only prospective owners that have had experience with this breed need contact us. They need a lot more exercise than other breeds. There are 3 boys and 1 girl. They are 10 weeks old and they are ready to leave, They will all be wormed and flead before going to their forever homes. If interested please txt my mobile on. Read our ALASKAN MALAMUTE breed information profile to research and find out more about this breed.